Vextractor Lite is an auto-tracing program for converting raster images to vector formats by building centerlines and outlines. This tool could be used for the tracing photo, logotypes and other line art images for use in Vector Graphics Design software. You can also vectorize charts, drawings, maps and schemes for input to CAD or GIS systems. 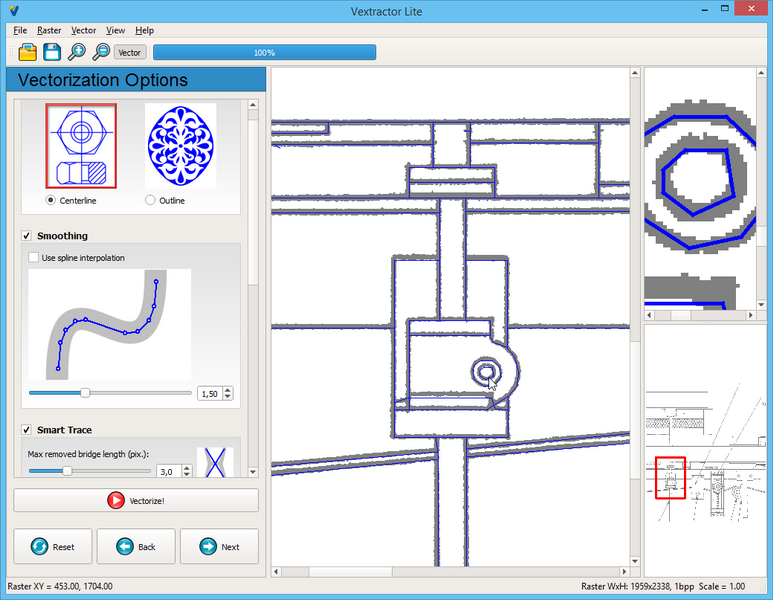 Supported vector formats: DXF.